Lingen. Good news for the Lingen business area. The Krone Group wants to test commercial vehicles, agricultural machinery and their own axles in Lingen. For the construction of a validation centre, the Krone Group wants to invest 15 million Euros in an area of about 13 hectares in the IndustriePark Lingen. The managing partner of the Krone Group, Bernard Krone, and the Mayor of Lingen, Dieter Krone, signed the corresponding agreement at the Lingen city hall on Wednesday, 21st December 2016. "We have decided to bundle our validation activities within the Krone Group. As a result, we will be building a centre where we can perform the technical quality assurance for all Krone product developments and also process country-specific homologation of vehicles and machinery," explained Bernard Krone. Another topic is autonomous driving: There are numerous interfaces within the different fields of activity of the Krone Group, so that the bundling of expertise could achieve a wide variety of synergies. "Speaking in favour of the Lingen location is also the Lingen Campus as a branch of Osnabrück University, with which we want to collaborate more intensively. Another bonus point is the excellent infrastructure with a direct connection to the A 31 for the Lingen location," Krone went on to explain. Lingen is quickly reached from the KRONE production sites in Spelle, Werlte, Herzlake, and Dinklage. The Mayor of Lingen, Dieter Krone, expressed his joy about the planned investment in the Lingen location. "We were able to convince KRONE, the globally active family-run business, to establish themselves at the Lingen location. It is the first new settlement in the IndustriePark Lingen for several decades. I am also very pleased that we have attracted another company in the field of research and development of future-oriented technologies and are contributing to the further overall expansion of the Lingen (Ems) business area. The Krone Group's project complements the existing, internationally active companies in the IndustriePark, such as Rosen or Dralon. The Lingen Campus is also an important component in the attractiveness of the location, as teaching, research and development can exchange and flourish in the direct neighbourhood. "In the next step, the building statutory aspects for this project must be agreed with the political bodies of the city of Lingen (Ems)," explained Mayor Dieter Krone. The goal is to start the construction work in the spring of 2018. "The Krone family has always remained true to the Emsland region, which is outstanding and bears witness to an exemplary sense of responsibility for the area, for which I express thanks in the name of the citizens of Lingen," emphasised the Mayor. The new Krone validation centre will be a machine hall with workshops, a testing hall with test rigs, an office wing as well as other testing facilities. In both the areas of agricultural machinery and commercial vehicles, the Krone Group faces ever-stricter legal requirements as well as increased demands in terms of the quality, function and user-friendliness of the manufactured products. 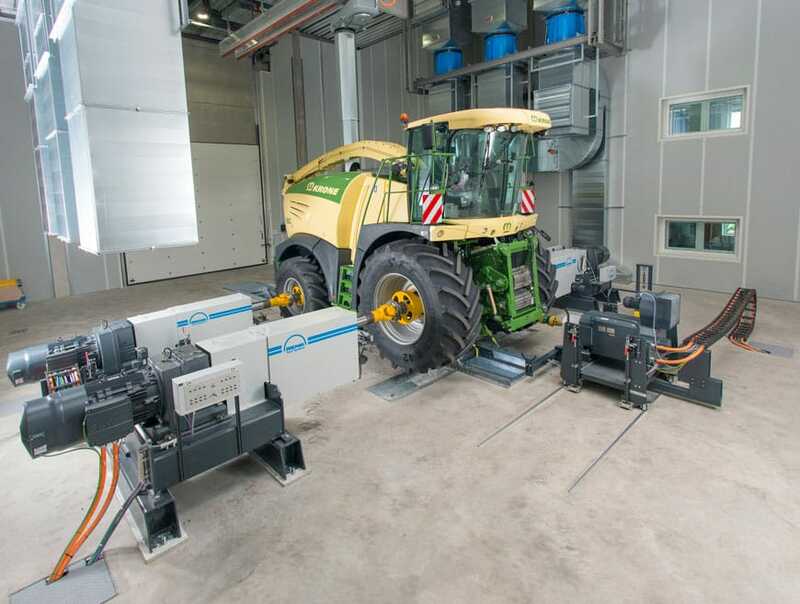 Particularly in light of growing digitalisation and therefore increasing complexity of agricultural machinery and commercial vehicles, Krone wants to meet these requirements even better and therefore decided to build the new validation centre. "The Krone name enjoys an excellent reputation all around the world, since we offer high-quality products at a fair price. With the new validation centre, we can present this fact even better, by generating precise life cycle certificates for our products for example. This will help us to further increase customer loyalty to the company," concluded Bernard Krone.